You can set your computer browser to reject cookies but this may preclude your use of certain parts of this website. To find out how to do this please refer to the Help section of your browser. Q: Will Table Art disclose the information it collects to outside parties? A: We do not sell, trade or rent your personal information to others. We may choose to do so in the future with reputable third parties, however, the company is legally bound to obtain your written authority to release the data to any third party or associated interested party at that time. Table Art may also provide generalised statistics about its customers, sales, traffic patterns and related site information to reputable third-party vendors, but these statistics will never include any personally identifying information. A: By UK law, Table Art is obliged to hand all relevant personal data and financial information to the appropriate Police Authorities in all cases of misrepresentation, deception, or other criminal activities associated with activity on this website. This may also apply to UK HM Customs & Excise Offices. Both myself and Bridget just wanted to say a massive thank you to you and all of your staff for your hard work for the BiTC awards. We were blown away by the professionalism and attentiveness from the Table-Art team. It was an absolute pleasure working collaboratively with you - you gave us 100% throughout this whole process and the final result, well, WOW!! I just wanted to say a huge thank you to you for Saturday at Stowe. 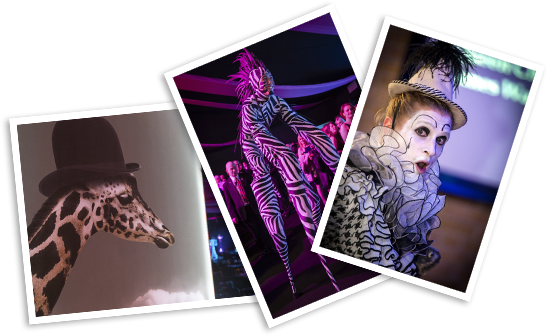 Your products looked absolutely amazing and they were perfect for the Cirque du Soleil theme. Lots of guests commented on how wonderful it looked! 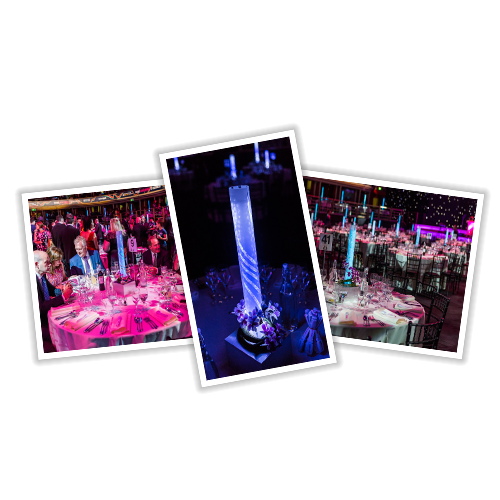 It was a pleasure working with you and we will definitely keep you in mind for future events.